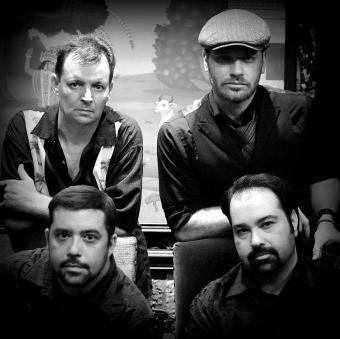 Back To Blue was formed in Waxahachie, Texas in 2004 by Eric Jordan (lead vocal/guitar) and Rick Fontaine (guitar/vocal). Through several line-up changes, the band finally found it's sound with the additions of Paul Blanchard (bass/vocal) and Carl Edmison (drums/vocal). While playing frequently around North Texas, Back To Blue found the time to self-release our own CD's of original music, including 2007's "The 13th Day" and most recently with "Songs For Conjuring, Vol 1" released in 2011 and it's follow-up, "Songs For Conjuring, Vol II" in July, 2014.